Welcome to West Grande Prairie Dental Exceptional and affordable family dental care Our friendly staff takes pride in a high quality of dentistry. 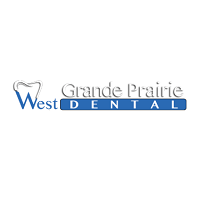 West Grande Prairie Dental blends a sleek modern design with the latest technology and comforts, to ensure that you and your family receive the absolute best dental care available, in a supportive and warm environment. If you have any questions, a toothache, or a dental emergency give us a call and we?d be happy to help. We guarantee that we will see every emergency within 24 hours of your call. We provide you with the quality service you deserve by direct billing your dental insurance, pre-authorizing major dental treatment and creating payment plans. For our adults, relax with a selection of premium coffees from our refreshment station while watching a movie on our iPads or enjoy a selection of over 150 digital magazines through Texture. If you?re feeling cold, warm up with a heated blanket or slippers.